Father's Day is only around the corner (18th June) and to celebrate Fathers and the important male figures in our lives. I am hosting a fabulous giveaway to win a Ralph Lauren Wallet worth £59!! 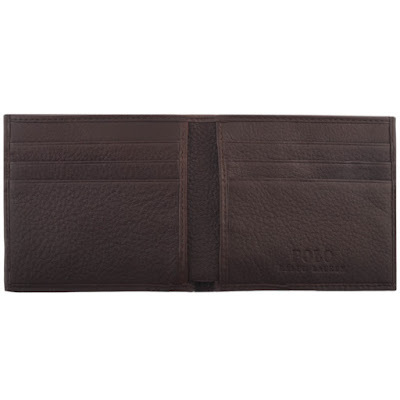 The wallet also comes in a Ralph Lauren gift box for that added special touch of class. 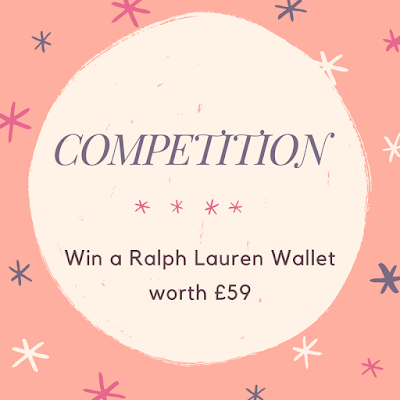 This giveaway is inconjuction with Mainline Menswear, who have an amazing range of clothing and accessories. Perfect if you are looking for a Father's Day present. To enter, simply complete one or more of the entries on the Rafflecopter below. So tell me, what will you be doing this year to celebrate Father's Day? Taking dad to a garden centre, he loves looking round, then on to a meal. I'll probably have a couple of drinks with my dad. Just a family meal and a cake. Family meal at the local pub! We'll all be meeting at my parents house and hopefully having a bbq if the weather lets us! We will be going for a picnic. Having a roast dinner at home with lots of beer. We will also go to the pub in the evening. Having a picnic weather permitting and maybe a pint later. Baking my dad his favourite cake! Dinner with my dad & other half to celebrate! Burrowing with all my little bunnies. I haven't seen my dad for 16 years so it will be uncles day with my niece. We'll visit a National Trust house or something as a family! Letting him go on a bike trip! I will be taking my Dad out for lunch! ooohhh i haven't thought that far ahead yet! didnt realise how soon it was whoops! My children and i will take my husband out for a nice lunch. We will be spending some time at home altogether as a family. Going out for lunch and looking around some shops with hubby, daughters and grandson. Lunch, cake and good coffee. And some choolates to take home. Visiting my Dad at home with card and present. Pampering my husband for the day, probably a roast dinner and we'll all go play in the green way for a couple of hours if the weather is nice. I'll cook a huge dinner, visit the in laws then back home for movies and treats! We usually have a special meal at home - simpler with family allergies! We are having our family around for lunch and a barbecue if the weather is good. We will be bowling with the family. Strike! Having a big family meal and a few drinks together. I lost my dad at aged 13 so its horrible. However since having my daughter who is 2 she makes the day so much easier. We are goin to go camping for the night and do something totally different to the usual meal and drinks. My hubby is rather excited. He doesnt know yet but my daughter has lots of treats for him to hide in the tent. A family get together and meal is planned. I will give him a day pass so he can go out and play with this shooting (target) friends. I won't be celebrating Father's Day & nor will my sons. The only one who deserves Father's day is my eldest Brother. His wife died 3 yrs ago & he's left bringing up his little girls on his own. A dinner with my family at home, with some bubbles. We're off to the Lake District for a spot of hiking. There are some new trails we'd like to try out - if the weather is good enough! Taking my other half, my dad, step dad and father in law for dinner together. All amazing dads. I'll give my dad the obligatory phone call. Nothing planned. Easy day I think. We will be having a family meal together and watching movies. We're all off out for a nice family meal, thanks for the lovely giveaway. We will probably celebrate during the week when our daughter is off work.